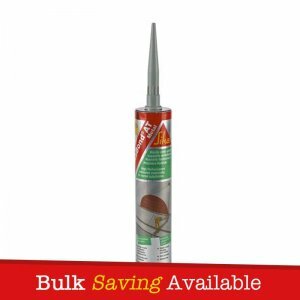 Sika Damp-Proofing Slurry is, high quality, thin layer waterproof slurry coating. Based on special cements and admixtures to provide a water and damp proof finish (just add water). 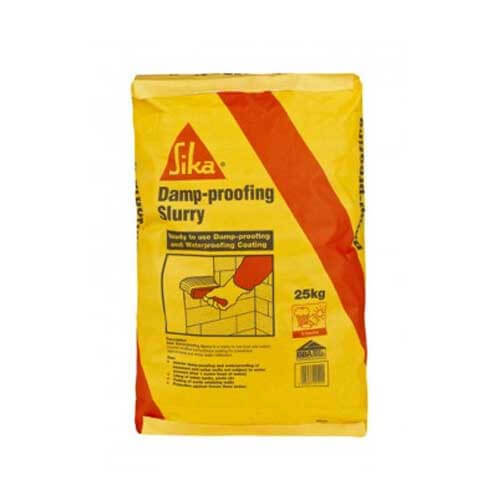 Sika Damp Proof Slurry can be used for preventing dampness and water penetration in basements, cellars, foundations and etc. Damp Proofing Slurry is quick hardening and can be painted with vapour permeable coatings after hardening. Sika Damp Proof Slurry is, high quality, thin layer waterproof slurry coating. 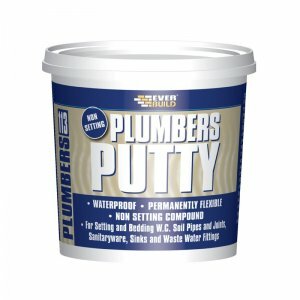 Based on special cements and admixtures to provide a water and damp proof slurry finish (just add water). 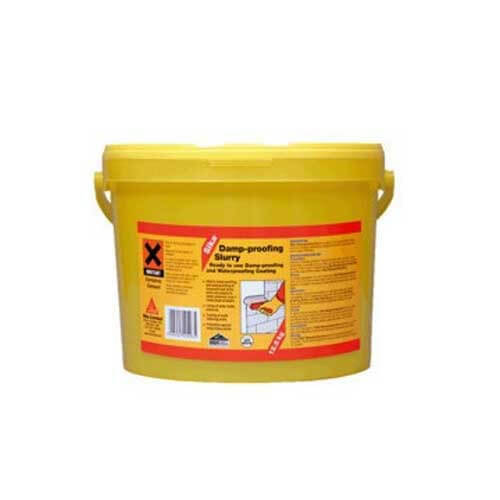 Sika Damp Proofing can be used for preventing dampness and water penetration in basements, cellars, foundations and etc. Sika Damp Proof Slurry is quick hardening and can be painted with vapour permeable coatings after hardening. – Basements, cellars, pits and pools. – Stone, brick, clay or concrete planters. 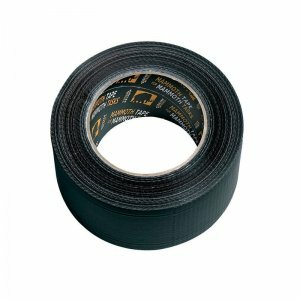 – Water and damp proof. – Simple to mix, easy to apply and no special skills required. – Use what you want – just add water. 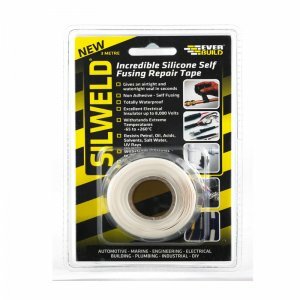 – Excellent adhesion to masonry, concrete, stone, block, brick and tile surfaces. – Can be painted with vapour permeable coatings after hardening.